San Francisco, CA - Christine Albrecht is in her first year of cross country but is racing like a veteran. The junior has led the Lady Warriors from the start of the season and is quietly making her mark on the team record books. When you bring it up you might get a smile, maybe. Albrecht has another outstanding run Wednesday finishing 2nd in the three mile course at Golden Gate park in 18:58, her first sub 19 of the season. She moves to #2 all-time. Katelyn Stone continues to progress after an early season injury delayed the start of the season. Stone has run a personal best in all of her three races this season, including Wednesday where she ran under 20 minutes for the first time, finishing 19:54. Stone is the WCAL Champion at 3200 meters with a personal best 11:30. She continues her upward trend into WCAL and CCS int he coming weeks. Sophia Patterson was close behind running 20:10 for a top 20 finish. She was just off her personal best (19:53) which is #8 all-time for the Warriors. She was followed by Alexis McMahon who finished in 20:33. At this race last year she ran 22:08 marking an impressive 1:35 improvement! May Aguilar and Hannah Theaker wrapped up the varsity team running 21:49 and 21:51, respectably. Aguilar also saw a huge improvement, bettering last years mark of 23:46 by nearly 2 minutes! In the boys race Joe Renati had another statement race leading the Warriors with a fourth place finish in a school record time of 15:24. His time betters the previous record by 35 seconds. Three freshman have been running varsity and have been big contributors this season. 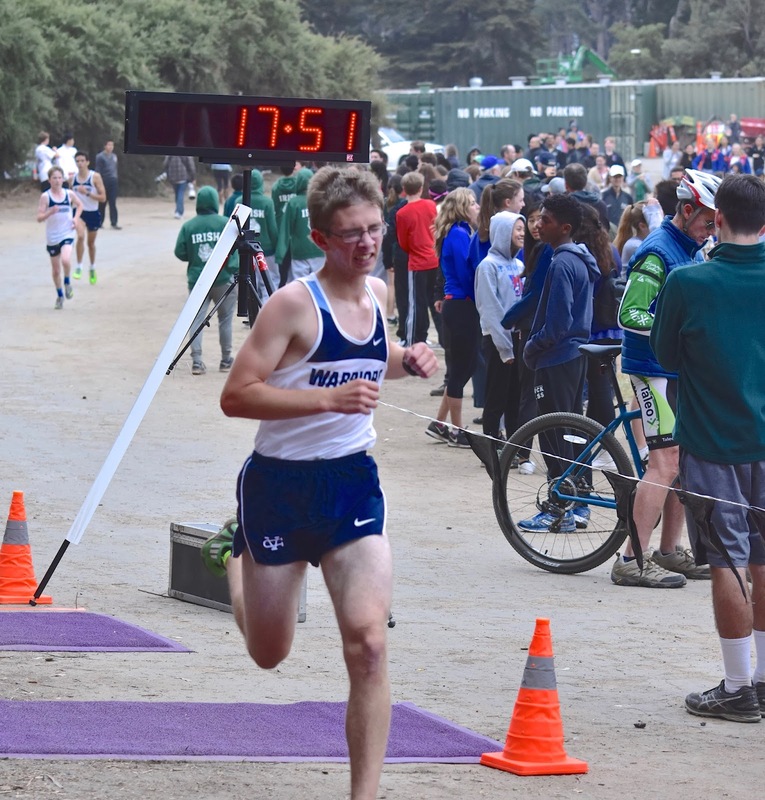 Will Luders was the #2 runner at Golden Gate running 16:47 for the three mile course. Noah Shinn was next to cross the line as the Warriors third runner finishing in 17:09. Ben Kaestner was the fifth runner finishing in 17:58. The three freshman have completely rewritten the record books this season with Luders setting the freshman record for every course he has run this season with Shinn just seconds behind. Nate Moore wasn't feeling his best but he powered through finishing in 17:52. Jack Adamson worked throughout the race with Moore & Kaestner resulting in his first race under 18 minutes for 3 miles! Ragav Saran rounded out the varsity team running in the 18's for the second consecutive race. His time of 18:50 is nearly a one minute improvement over his race here a year ago. 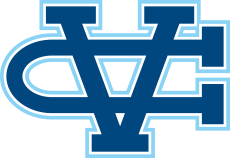 The Valley Christian cross country team next competes in the WCAL Finals at Christal Springs on November 1st.